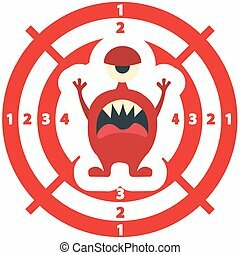 Crying cartoon monster icon. halloween vector red and horned monster alien sad expression. design for emblem or sticker. 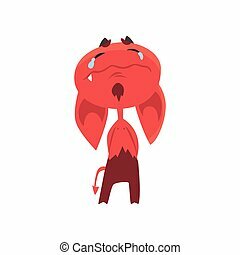 Little red devil with droopy ears showing very upset face expression. Cute fictional monster character. Flat design for network emoji, print, sticker, card or poster. Isolated vector illustration. Shocked or surprised red devil character isolated on white. Little horned demon from hell. 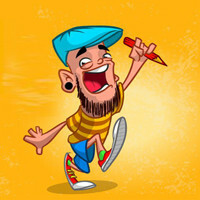 Cartoon vector illustration in flat style. Design for social network message, sticker, card, kid shirt print. 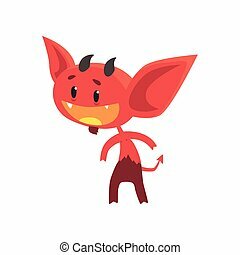 Cartoon vector illustration of devil with little horns, big ears, tail and shiny eyes. Red demon with pleasantly surprised face expression. Flat design for kids t-shirt print, sticker, card or poster. 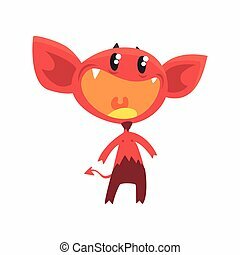 Funny red devil with little horns, big ears and tail with arrow tip end. Cartoon fictional character with joy face expression. Isolated flat vector illustration. Design for card, sticker, shirt print. 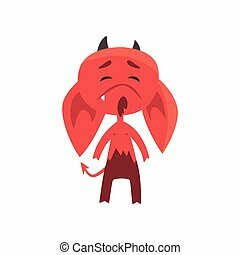 Flat vector illustration of funny little devil with interested facial expression isolated on white. 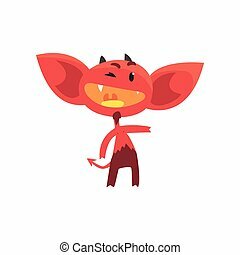 Comic fictional demon character with horns, tail and big ears. Design for print, sticker or card. 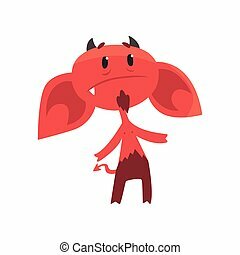 Upset devil character with big drooping ears, horns, tail and beard. Comic red demon. 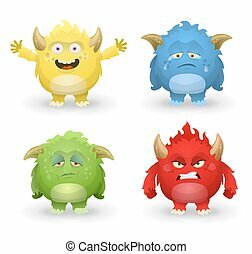 Cartoon isolated flat vector illustration. Design for social network emoji, shirt print, sticker, card or poster. 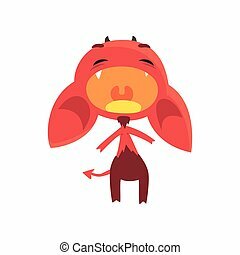 Furious red devil with horns, big ears and tail. 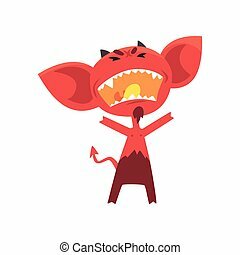 Cartoon demon with angry facial expression. Fictional character from hell. Flat vector illustration for kids t-shirt print, sticker, card or poster. 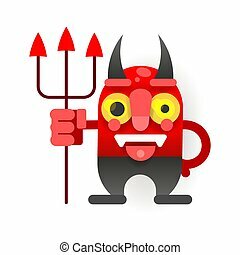 Angry face emoticon with horns, emoji smiley symbol, vector illustration.